Whether you’re converting your loft or are extending your house, roof windows are a fantastic way to bring light into your new space. VELUX are the leading name in roof lights, with millions of homes and offices being adorned by their range of pitched and flat roof windows. 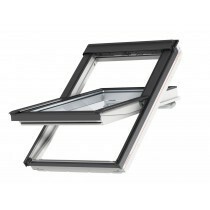 Unlike many other manufacturers, VELUX have lead the way in design. 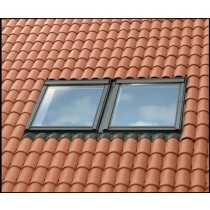 They do not only offer a choice of aesthetically pleasing coatings, but these also extend the lifespan of your window. Their polyurethane coating is purposely designed for spaces with high humidity, such as bathrooms. 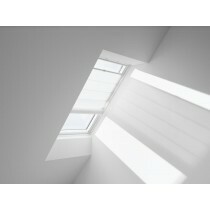 VELUX have also introduced a variety of innovations. These include VELUX Active, which does not only allow you to control the temperature and humidity of your home or office, but also monitor the CO2 levels. VELUX Active is controlled through virtually any smartphone with ease. 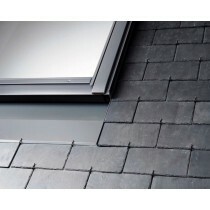 Roofing Megastore offer both pitched and flat roof windows from the Danish manufacturer. We also stock the full range of sizes, with accompanying flashings and accessories available too. As a trusted supplier of VELUX roof windows, you can shop with the utmost confidence at Roofing Megastore. You do not only have a choice of styles, but can choose from a range of popular opening types. 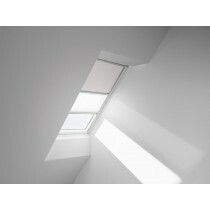 We also supply VELUX’s innovative range of electric roof windows for delivery across the UK. Centre pivot skylights provide the utmost convenience for home owners, with their easy-to-use swivel making cleaning hassle-free. 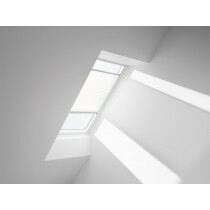 These roof windows from VELUX are also ideal for small spaces where furniture may sit beneath the window. When using a centre-pivot window you needn’t compromise on features, with them offering the same level of ventilation and energy efficiency as virtually any other skylight. 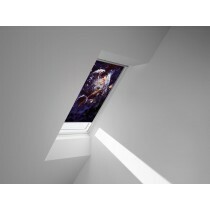 Top hung skylights provide you with truly mesmerising panoramic views. This allows you to flood your home with natural daylight throughout the year whether you’re in the countryside or a build-up area. 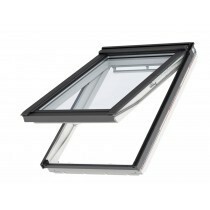 Unlike centre-pivot windows, VELUX top hung windows are best suited for rooms where they can be easily reached. 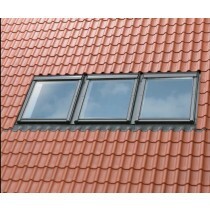 They are particularly ideal for loft conversions. Conservation skylights are necessary in areas of outstanding beauty. This needn’t limit your choice of roof windows with VELUX offering a range of conservation windows and accompanying flashing kits. These are designed to blend seamlessly into your home, all whilst featuring the innovative designs and high quality materials that VELUX are widely recognised for. Electric skylights are the perfect addition to any smart home. They provide superior convenience with their electrical opening and automatic weather protection. VELUX electric windows feature a near silent motor to ensure they do not disrupt you, whether installed in a living room or bedroom.